What’s one of the most common health concerns in the United States? You may be surprised to learn it’s hearing loss. Around 48 million people in the country — that’s 20% of the population — have trouble hearing. 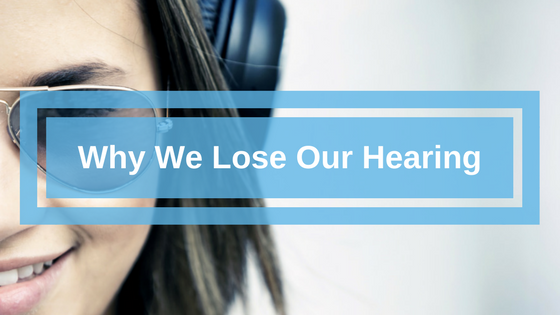 So, what causes our loss of hearing, and can we prevent it? Inherited: More than 400 genetic diseases, like Stickler syndrome, can cause hearing loss. While some people are born with their hearing damaged, others lose their hearing over time. Age-related: Presbycusis is a fancy word for age-related hearing loss. As you may know from spending time with your relatives or maybe even older coworkers, losing your hearing is an unfortunate part of aging. Age-related hearing loss happens because of changes in your inner ear, though shifts in your middle ear can also cause your hearing to fade. Conditions like heart disease and high blood pressure also impact your hearing because they affect your ears’ blood supply. Most hearing loss occurs during your 60s, according to the National Institute on Deafness and Other Communication Disorders (NIDCD). Noise-induced: Whether it’s the construction outside your apartment or your love of football, continued exposure to loud noises cause hearing loss. In fact, 15% of children between the ages of 6 and 19 have hearing loss. Like age-related hearing loss, it’s your inner ear that takes the hit. Whether it’s Taylor Swift telling you to “Shake It Off” or a herd of cows saying “Good mooorning,” noise can damage your ear’s hair cells, depending on the decibels. Illness-related: Non-inherited diseases can also cause hearing loss. Ménière’s disease, which affects your inner ear, and Otosclerosis, which impacts your middle ear, are two examples of illnesses that lead to temporary or permanent hearing loss. Tumors may also result in hearing loss, whether they’re benign or malignant. Trauma: Accidents happen, but when your head takes the hit, you may end up with damage to your hearing. It’s crucial to see a doctor after a head injury to check for any serious consequences, whether that’s a concussion or hearing loss. Medication: That’s right, even medicine can cause hearing loss. These drugs are called ototoxic, meaning toxic to the ear, and cause permanent hearing loss. Ototoxic medication includes chemotherapy medicine, aspirin, non-steroidal anti-inflammatory drugs (NSAIDs) and aminoglycoside antibiotics. The good news is hearing loss often doesn’t occur without taking significant amounts of these medications. Ask your doctor about drug side effects. Knowing the potential side effects of your prescription medicine is smart. Before your doctor writes you a prescription, ask them if hearing loss is a possible side effect. If it is, see if there’s another medicine your physician can recommend. Use hearing protection. Ear plugs, noise-blocking earmuffs or noise-cancelling headphones are all options for protecting yourself from noise-induced hearing loss. If you work in a noisy career field, protective ear gear is essential. Limit your exposure to noise pollution. Protect your hearing by limiting your exposure to sound pollution. Turn down the radio, wear ear plugs to the game and soundproof your apartment’s walls from the non-stop construction outside. Just as we protect ourselves from sun damage by wearing sunglasses, hats and sunscreen, we can follow through with these hearing loss prevention tips to keep our ears happy and healthy. Interested in learning more about hearing, noise and soundproofing? 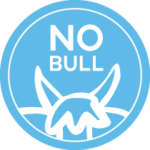 Subscribe to our Bull Bulletin for the latest information and tips from our herd here at Soundproof Cow.